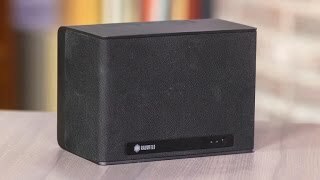 You can expect great room-filling sound from this speaker, and its bass response gives much larger speakers a good run for the money. The unit is splash-proof, which makes the One S a solid choice for bathrooms and kitchens. The Raumfeld app is a breeze to use. As the One S lacks Bluetooth, you can't stream directly from apps on your smartphone; plus, support for music services is limited. The speaker does not have a Play/Pause button. 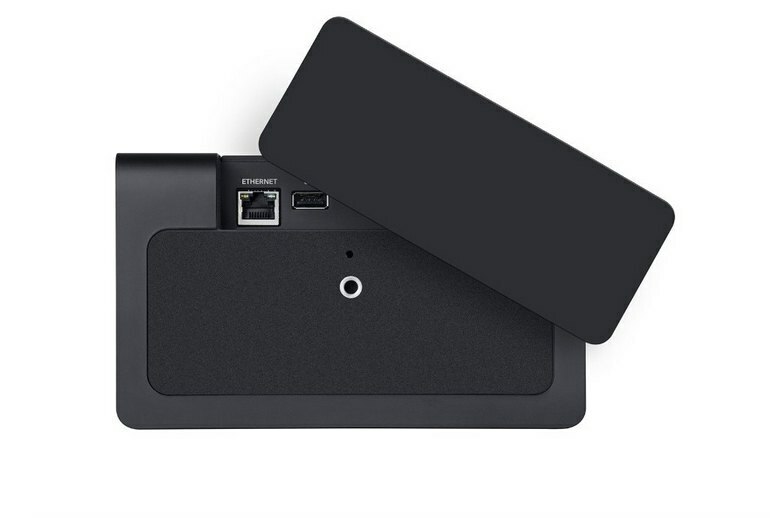 The unit contains no battery, which means portability around your house or outdoors is not really an option. 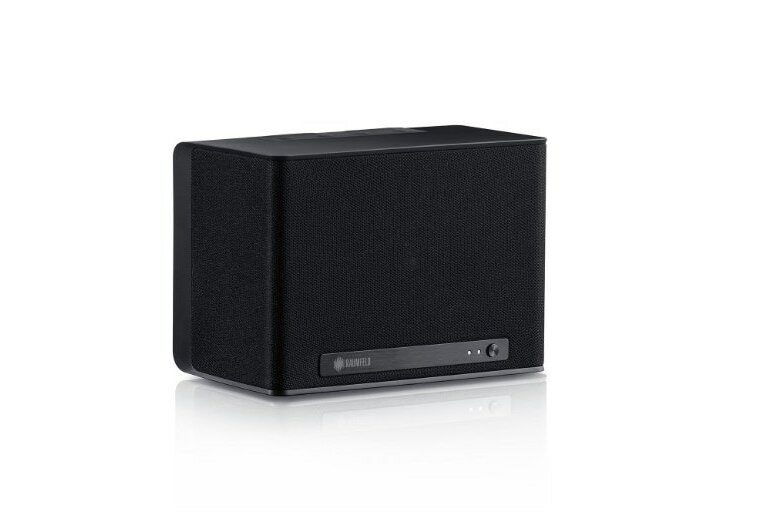 Engineered in Berlin, the Raumfeld One S Wi-Fi speaker is designed for multi-room enjoyment. 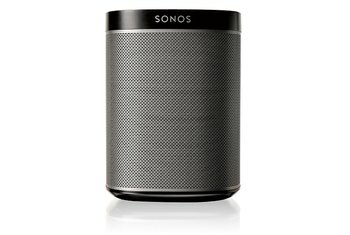 The One S is driven by a 60-watt class D amplifier to deliver distortion-free sound. 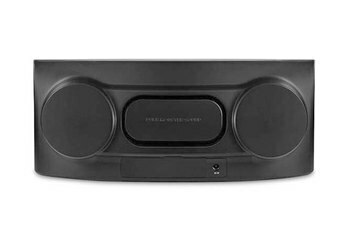 The speaker can be used in any room thanks to its robust construction: An aluminum panel covers the front of the speaker; the controls are made of water-resistant silicone; fabric covers protect the drivers; and rubber rings secure the speaker's positioning. 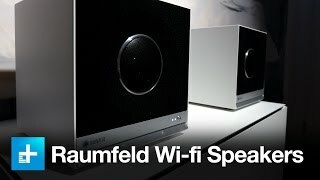 You use the free Raumfeld app, which is available for iOS and Android devices, to control the speaker's functions, including changing volume, creating playlists, and browsing through streaming services. 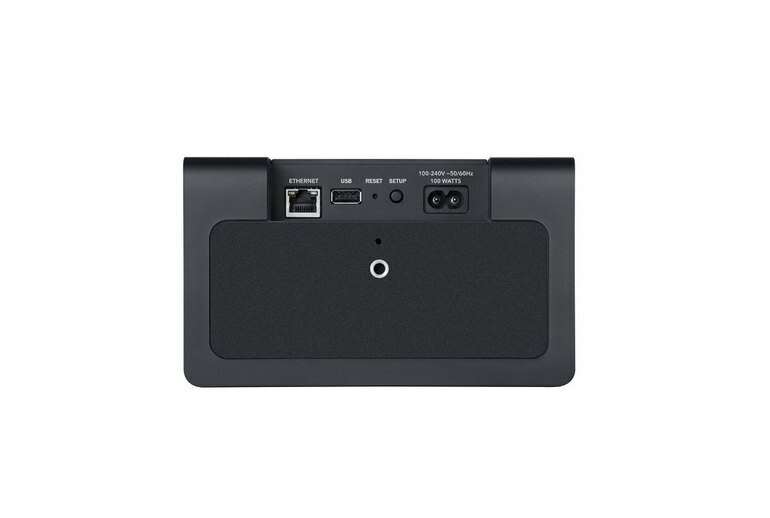 The speaker comes in black only, and it can be wall-mounted using an optional accessory. Once you’ve got through the simple setup, the Raumfeld One S is a doddle to use. The app is robust...It’s really simple to use too. Icons are clear and connecting to music on your phone, tablet or server is dead easy. Whether in my system at home or in the CNET audio room I found it easy to forget which speaker I was listening to, and this is partly because of the amount of bass energy it's able to put out. 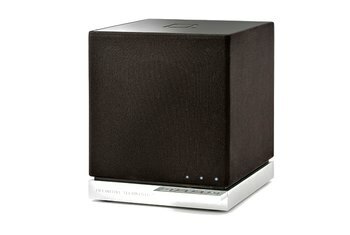 It behaves like a much larger unit with tuneful and full bass. With the EQ you can tweak the sound to suit your taste, the room your in or the music you're listening to but most of the time we found little need. The mid and bass frequencies do tend to dominate at default settings though so we recommend boosting the treble a little. The design is stunning and also plays well with pretty much any decor. I admit that my initial attempts [to set up] got not very far always stalling when it looked for my Network. I tried over three different days and then gave up. I placed it in my own bathroom and found it had no issue filling the space with rich sound...the One S punches well above its size and weight when it comes to sound quality and output. If you need this thing to get loud, it will oblige without hesitation. 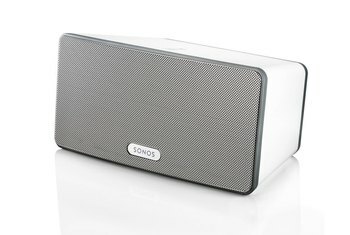 Despite its tiny size, the bass is good thanks to the firm's 50-watt bi-amping technology and a class D amplifier, and the system supports app-based control and presets for playlists compiled through music streaming services, online radio and private collections.